I won`t repeat what has already been written countless times about the food here so i`ll simply let the photos to the talking for me. The bar is beautiful and a great place to relax if you turn up a little early. Wine by the glass is available for around £7. 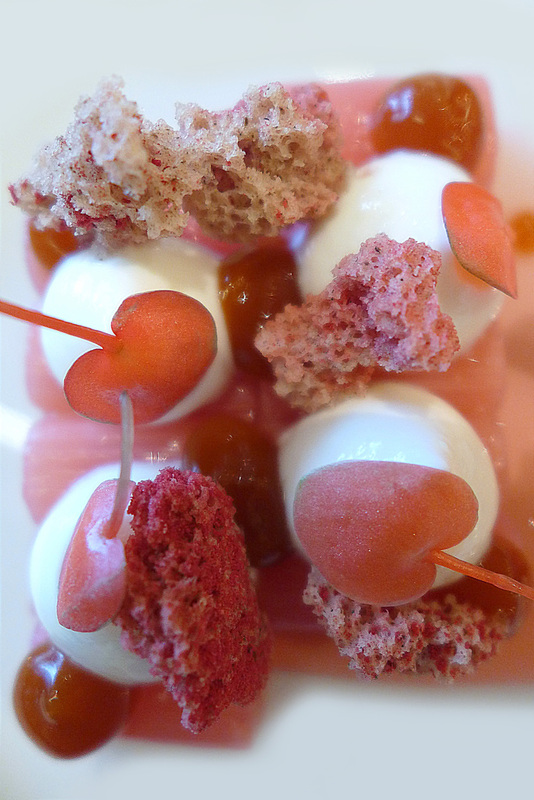 The food speaks for itself , 2 star Michelin and every plate is perfection. 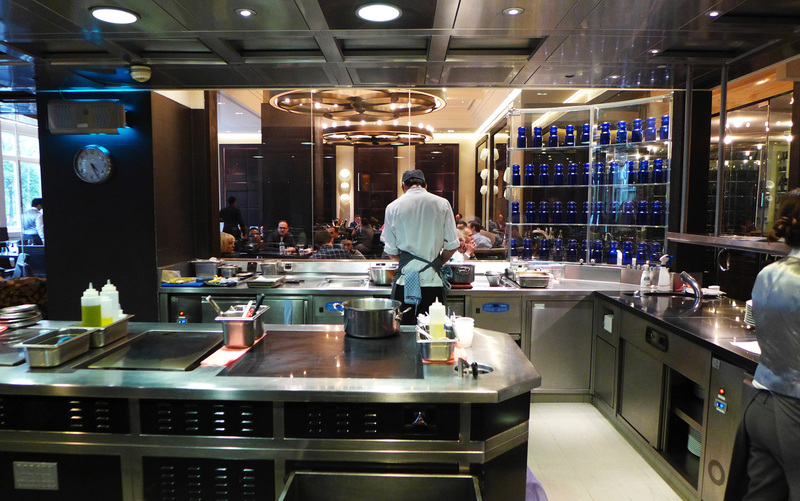 The cooking methods are so refined after countless variations and are now faultless every time.Service ,well that`s also friendly and relaxed, the best in the business.Thanks to our assistant manager for lunch Danilo Mancini , ours was memorable. 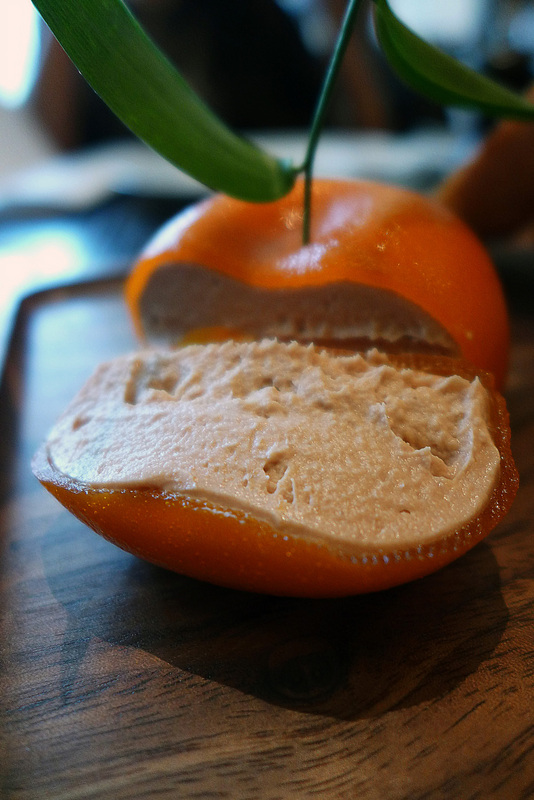 Most of the diners here seem to go for the `Meat Fruit` , A Chicken Liver and Foie Gras Parfait encased in a Mandarin fruit jelly. It really is worth going here just to eat this starter , unless you`re brave enough to attempt it at home. CLICK HERE. (As you can see , there are those of us who are daft enough to try it ). It costs £17.50 on the menu , its bloody wonderful. 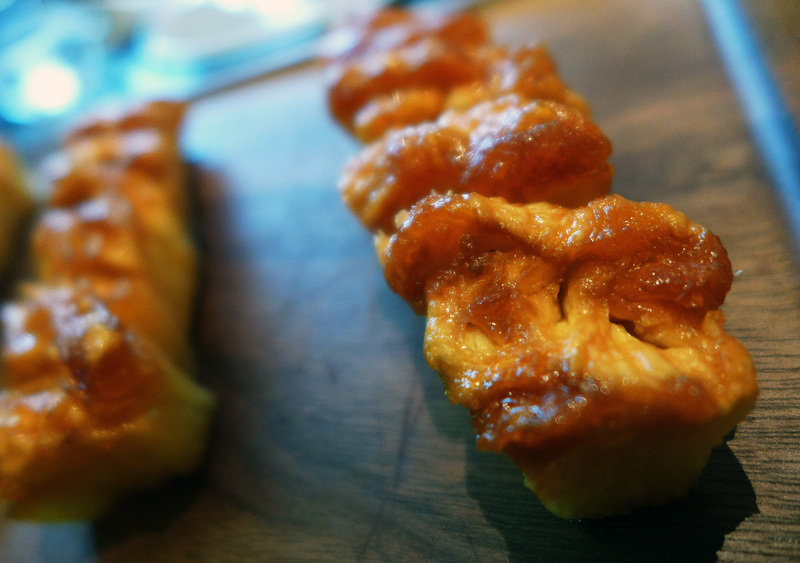 I really need to make this again. 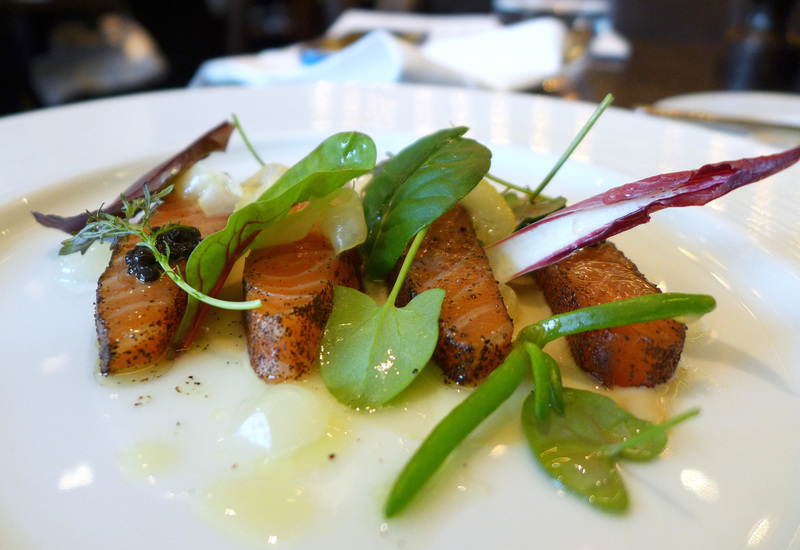 Earl Grey Tea cured Salmon , Lemon salad , gentleman`s relish , wood Sorrel and smoked roe. 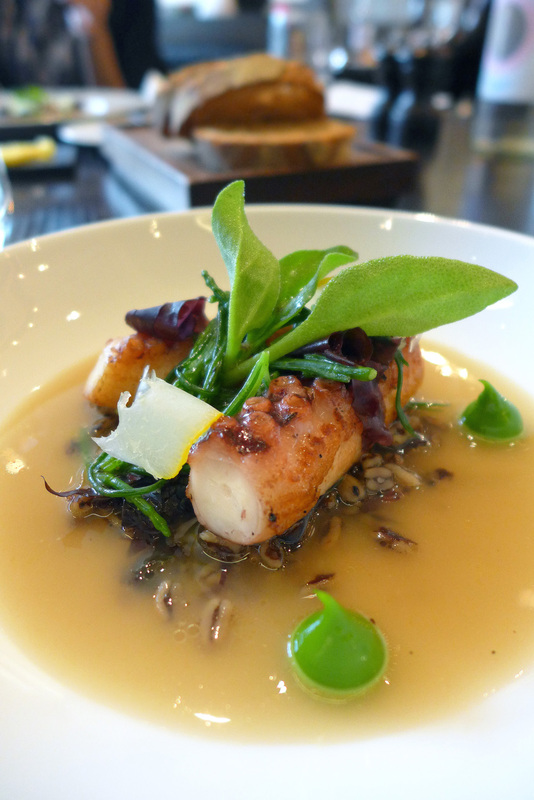 `Frumenty` – Grilled Octopus , smoked sea broth , pickled Dulse and Lovage. The Octopus was cooked `sous vide` ( in a water bath ) to tenderise it and then finished off `a la plancha` ( char grill) to give it colour and flavour….it melted in the mouth. 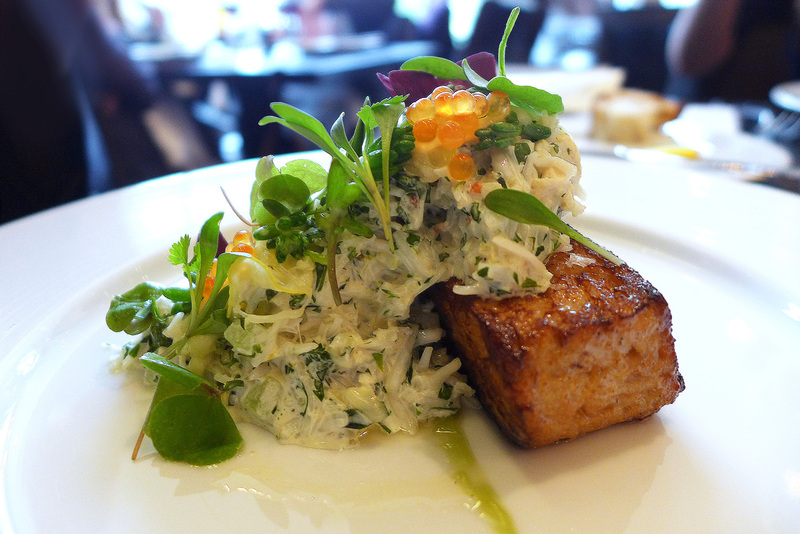 Buttered Crab loaf – Crab , Cucumber , pickled Lemon , golden Trout roe and Stone crop. The fresh Crab was extremely sweet and the Brioche was totally soaked in the most wonderful Crabby, Buttery, creamy liquid. That`s the best description that i can manage. 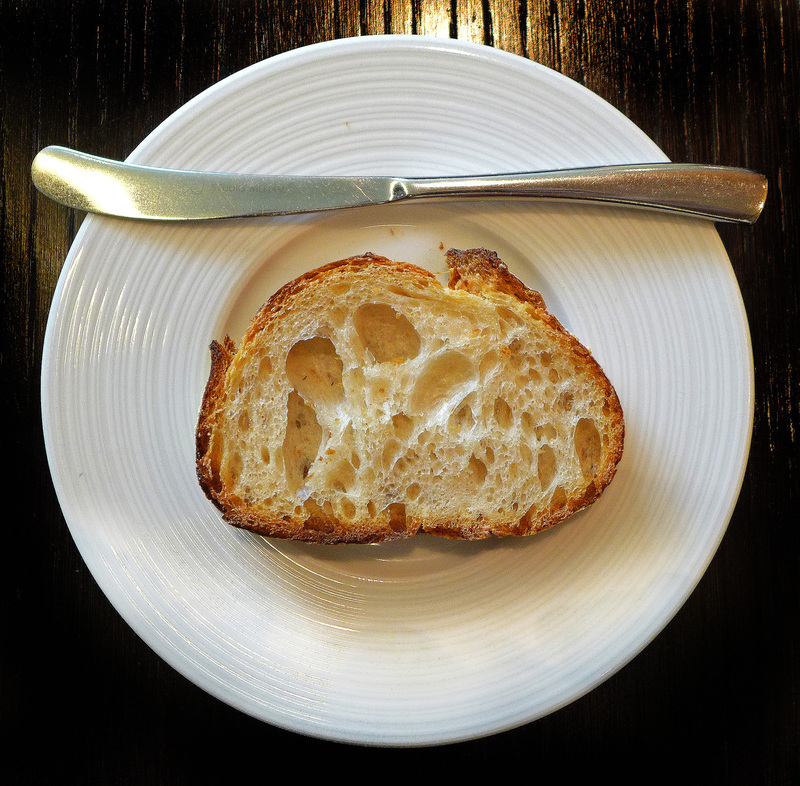 The bread , both here and at Hestons other restaurant `The Fat Duck` is the best Bread you`re going to eat anywhere in the UK. 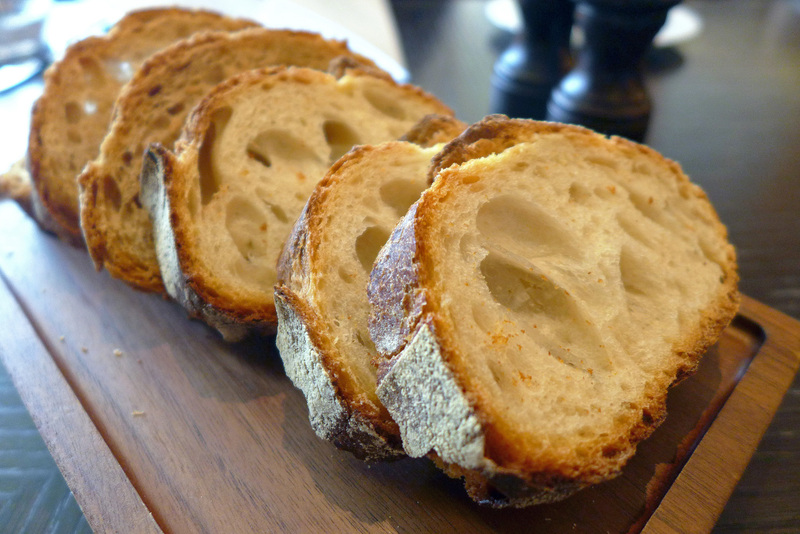 I `think` that it seems to be a very slow proved Sourdough , very waxy inside but that`s as much information as I have on it….Just go and try some for yourself. 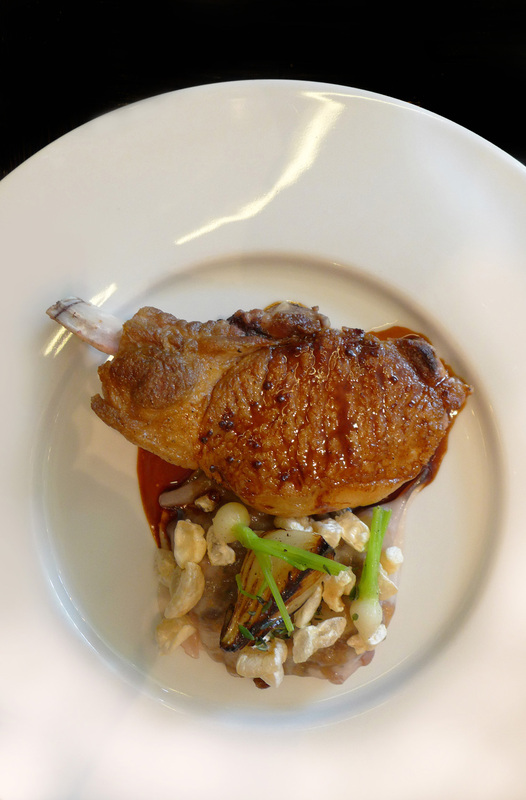 Roast Iberico Pork chop , Spelt , Ham hock and sauce Robert. As Pork goes then this is probably the best quality you`re going to get. 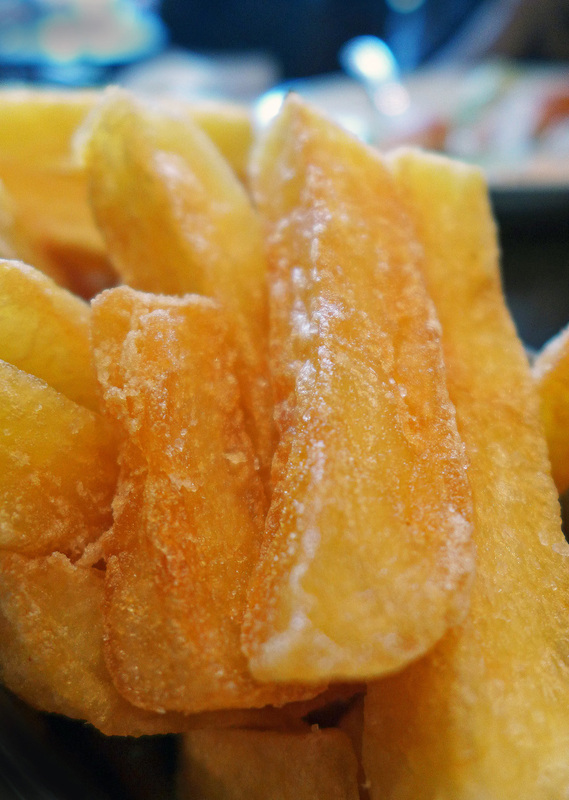 Plenty of flavour and a generous sized portion. 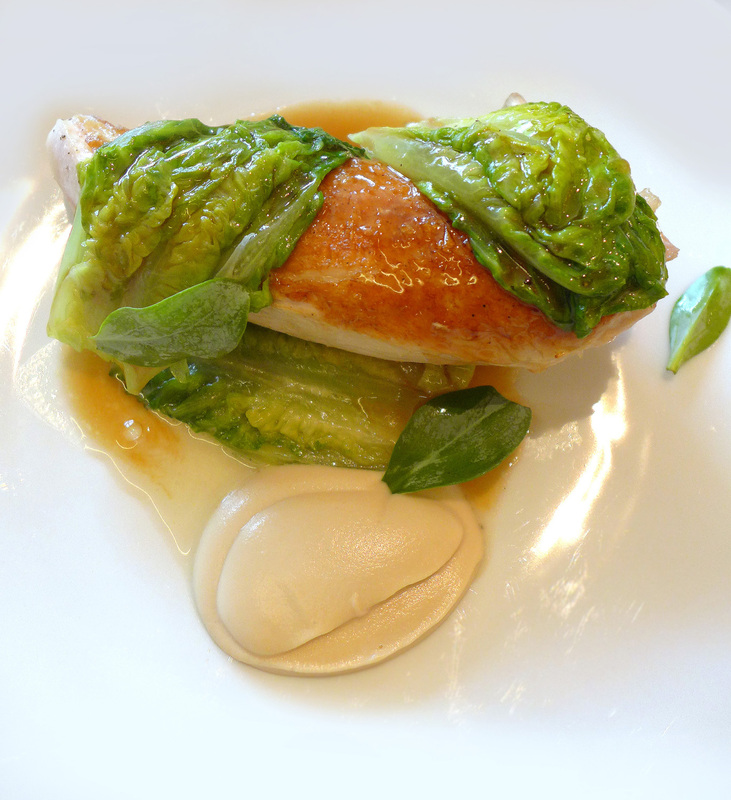 Chicken cooked with Lettuces with a spiced Celeriac sauce. 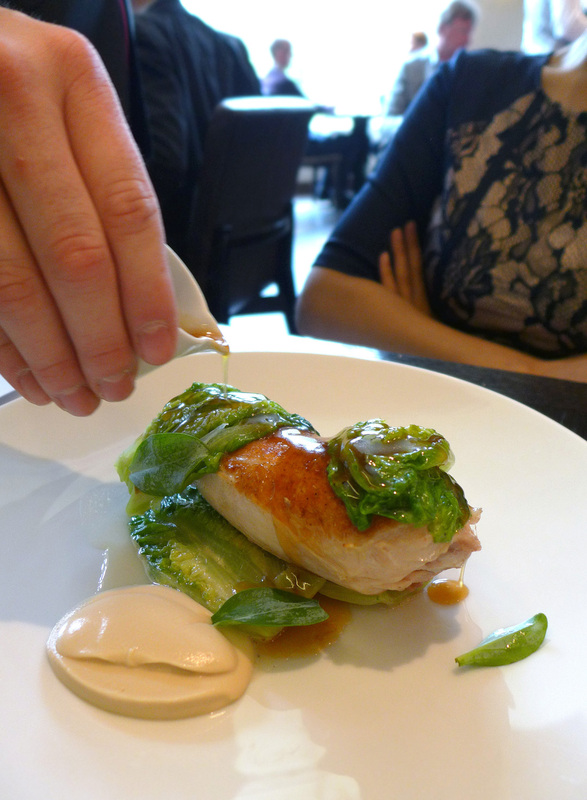 The Chicken if i remember correctly was cooked `sous vide` (vacuum sealed in a water bath ) for 2 hours at 59.5 degrees .It was then finished off with a blowtorch to give the skin some flavour. It was a demonstration of how to cook Chicken to perfection. 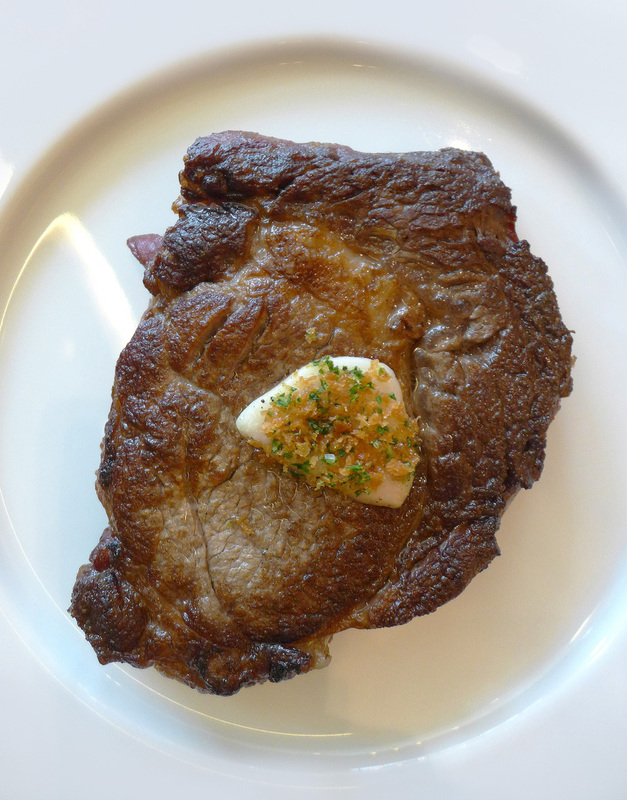 An amazing `melt in the mouth` experience , lots of delicate flavour and at £32.00 yes it was very expensive but was also an extremely large portion and it was stunning simplicity. 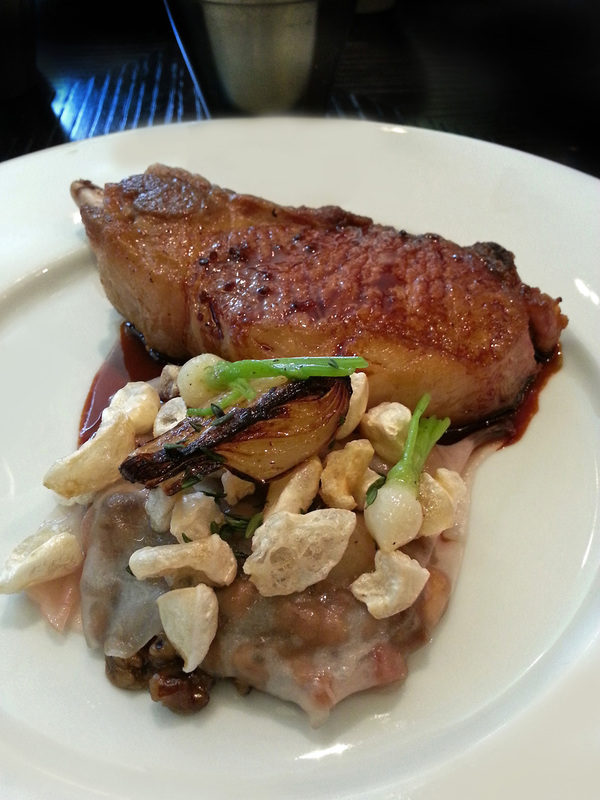 Hereford ribeye of Beef , Mushroom Ketchup and triple cooked chips….Finally i got to try the world famous Chips. They weren`t on during my last visit as the Maris Piper Potatoes weren`t in season. 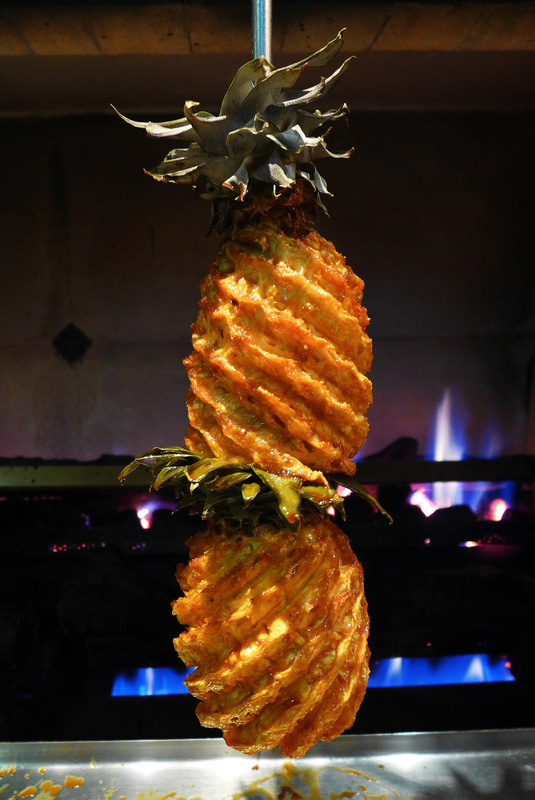 Spit roasted Pineapple…..This is the Pineapple to accompany the `Tipsy cake`.Unfortunately for only the second time since the restaurant opened this dessert was off the menu today as the Brioche hadn`t risen properly.It wasn`t quite perfection so it didn`t go on the menu. Fortunately this also meant that there was an excess of Spit roasted glazed Pineapples which of course we had to sample as part of the dessert tasting. 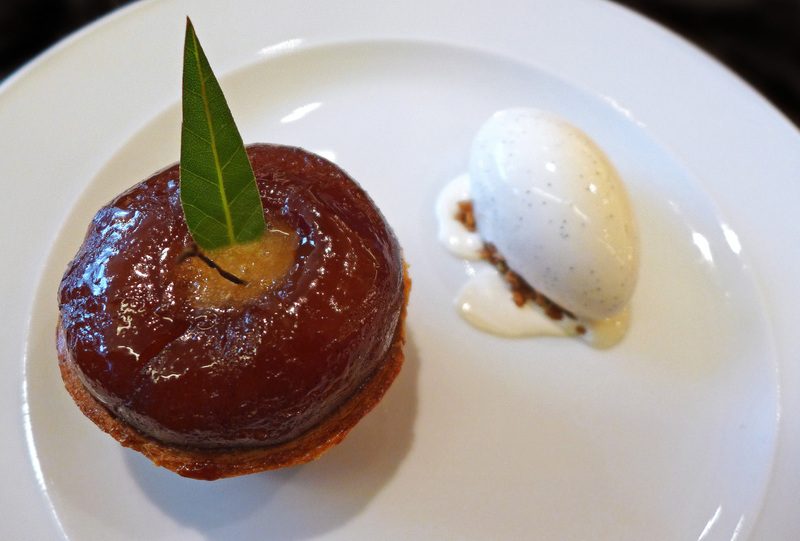 Caramelised Apple tart , Eggs in Vejus curd , Bay and Tahitian Vanilla ice cream….Probably the best Apple pie you`re ever going to eat. 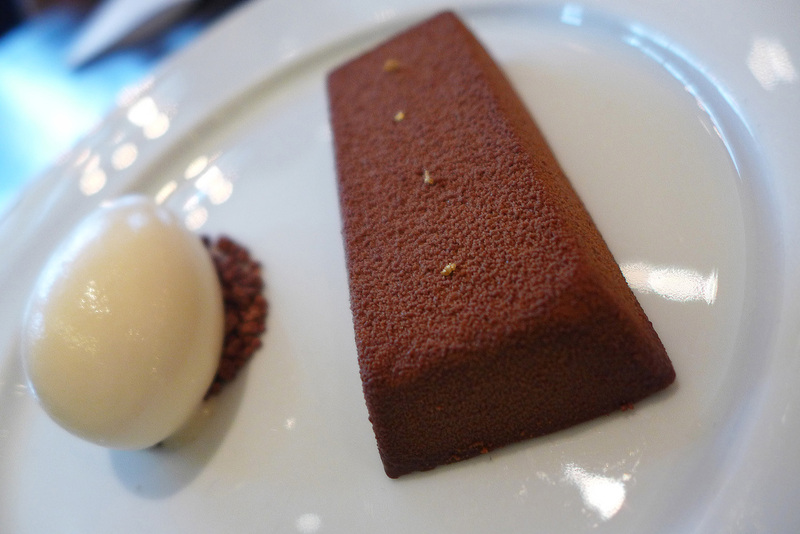 Chocolate bar , Passion fruit jam and Ginger ice cream. This was just richness and powerful flavours to the max. 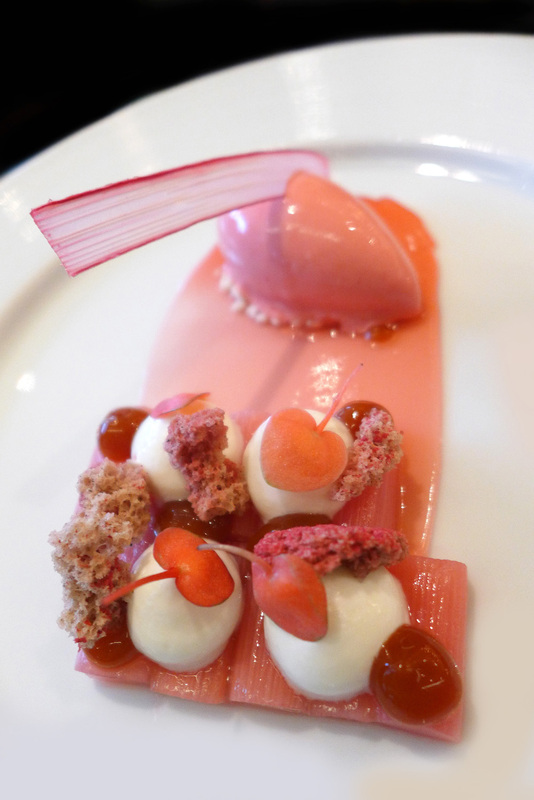 Poached Rhubarb , Rosehip jam, Yoghurt cream , Rhubarb sorbet. This was my dessert , and a very girly one it was too. 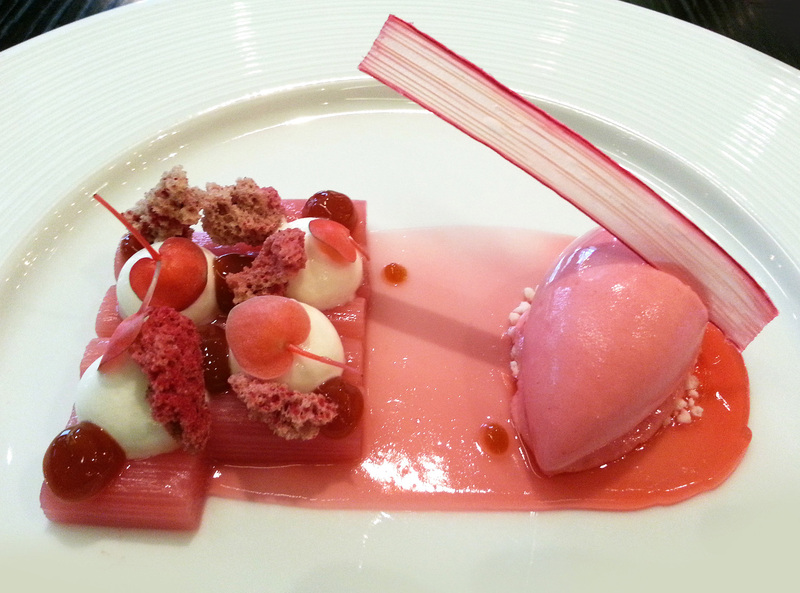 I love to eat something that looks beautiful , a work of art , so i was recommended this pretty little Pink number. I minced out of the restaurant a happy man. Manjari Chocolate with Orange blossom and Caraway. 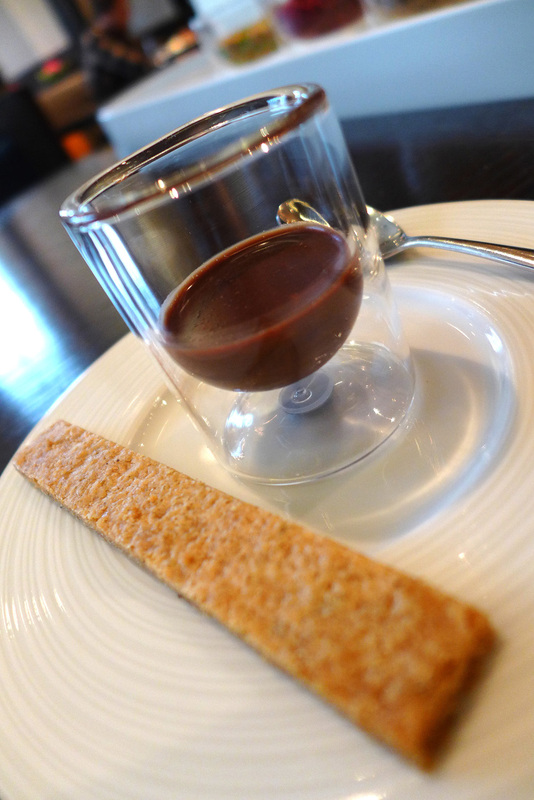 Just a couple of spoonfuls of Chocolate heaven using the Caraway biscuit as an eating implement. 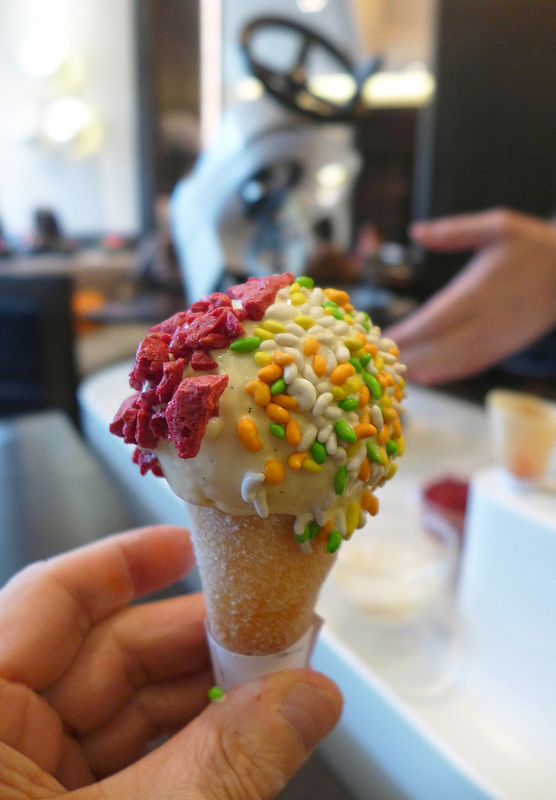 The ice cream trolley turns up for the grand finale. The guests all love it , its pure Heston theatre. 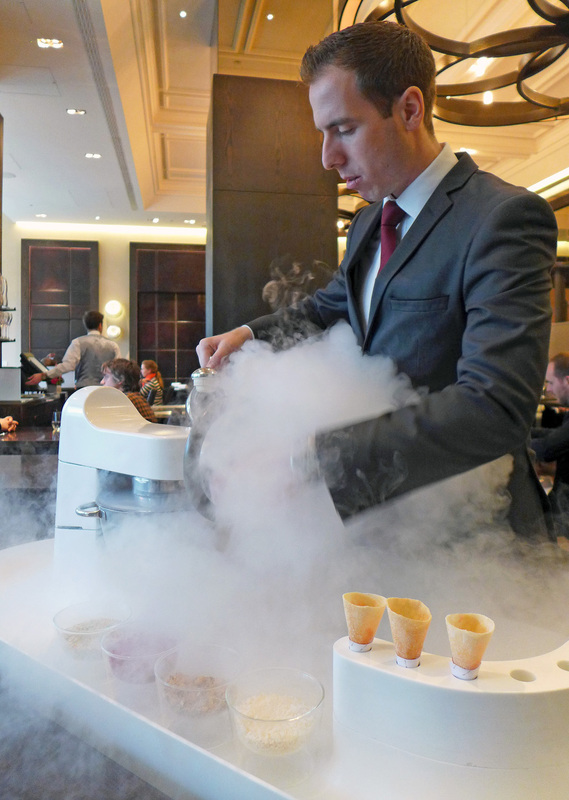 Handmade wafers carry a spoonful of Rhubarb cooked with Campari which is topped with Nitro cooked Vanilla ice cream. 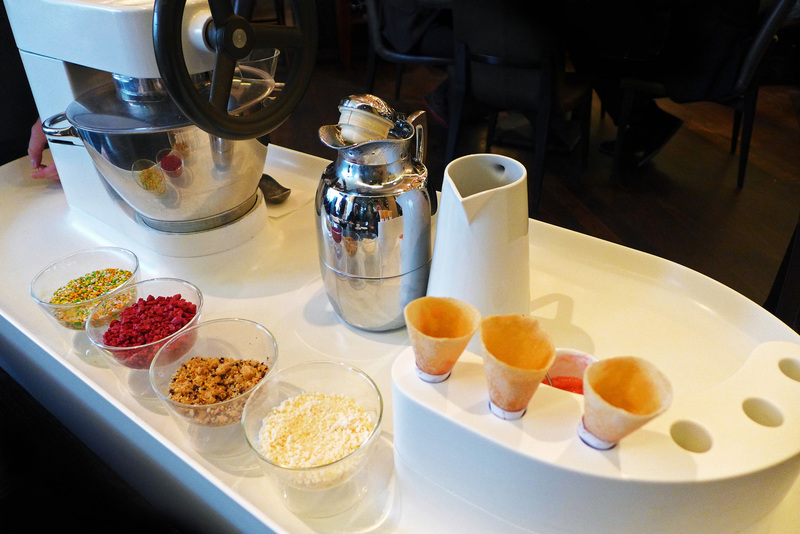 The toppings to choose from are – Chocolate Hazelnut & popping candy , Freeze dried Raspberries or Candy coated spice seeds. 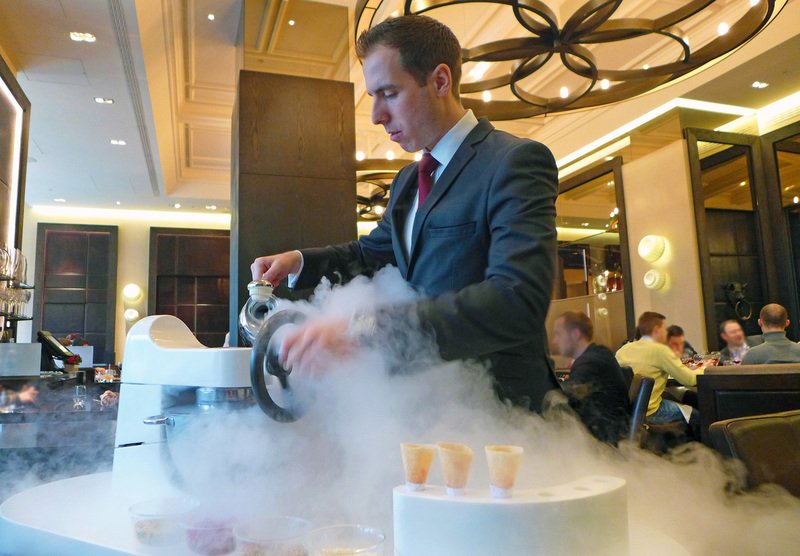 The very entertaining assistant manager Danilo demonstrates the art of making ice cream using Liquid Nitrogen. 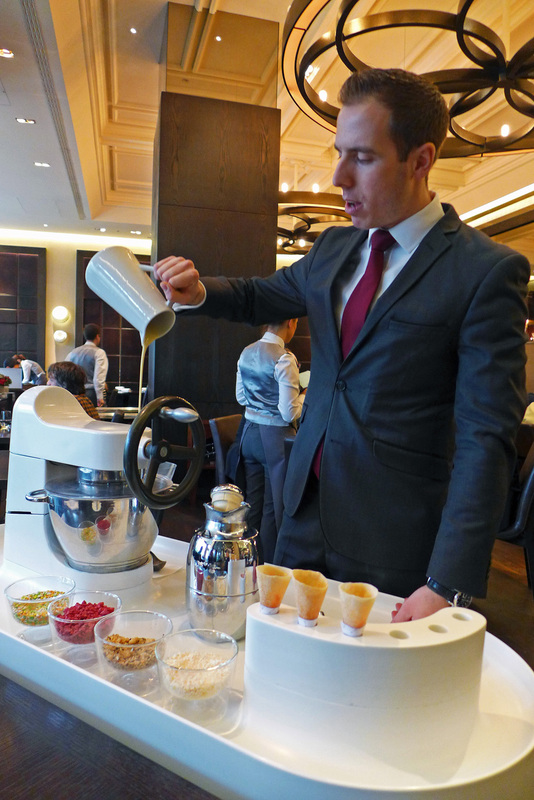 The freshly made Crème Anglaise is poured into the food mixer. Whilst turning the handle , Liquid Nitrogen is added to the mixer bowl. 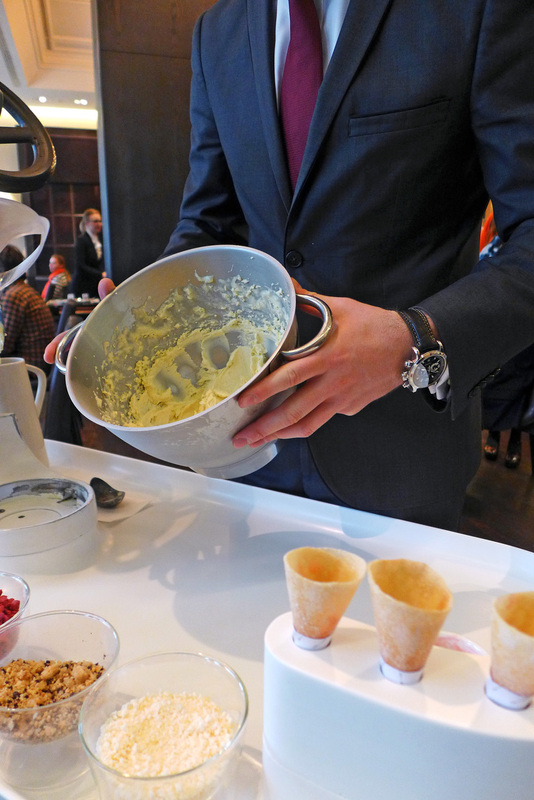 In seconds , the Vanilla ice cream is ready , ice crystal free and a smooth as anything. 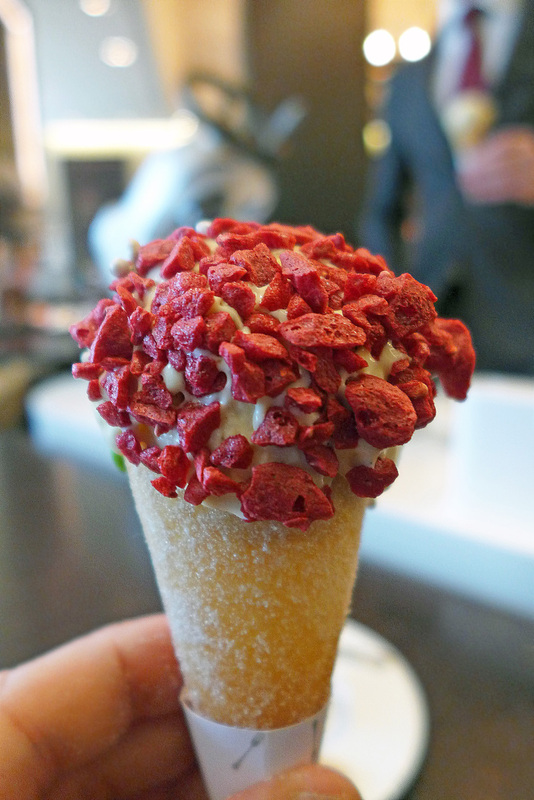 A topping of freeze dried Raspberries and Candy coated spice seeds. 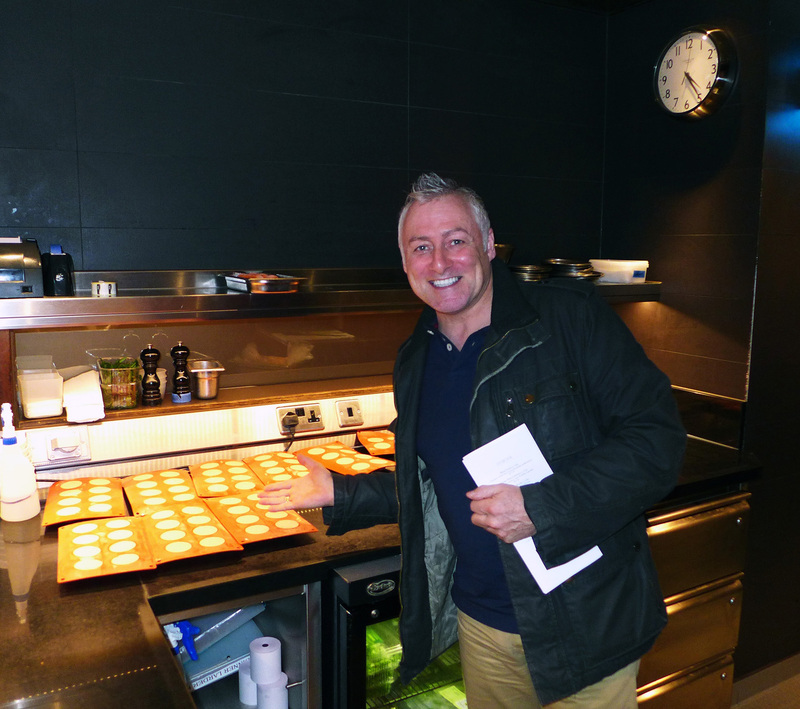 We got a lovely tour of the kitchens and a nice chat with the chefs behind the scenes. 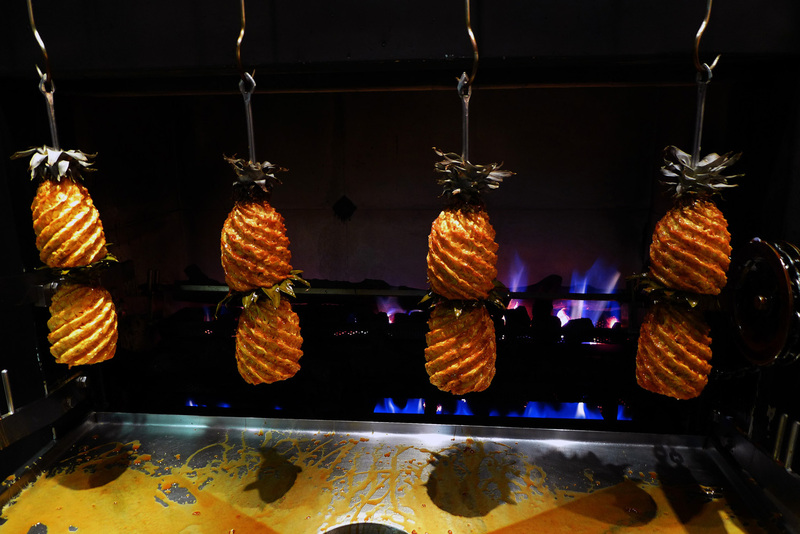 I managed to get a few secret little tips on the Meat fruit process and a good look over the Spit roasting rack for the Pineapples…..which was a tad too complex for the home kitchen. All in all , it was a wonderful Sunday lunch and i look forward to a return visit very soon. Thanks very much guys. 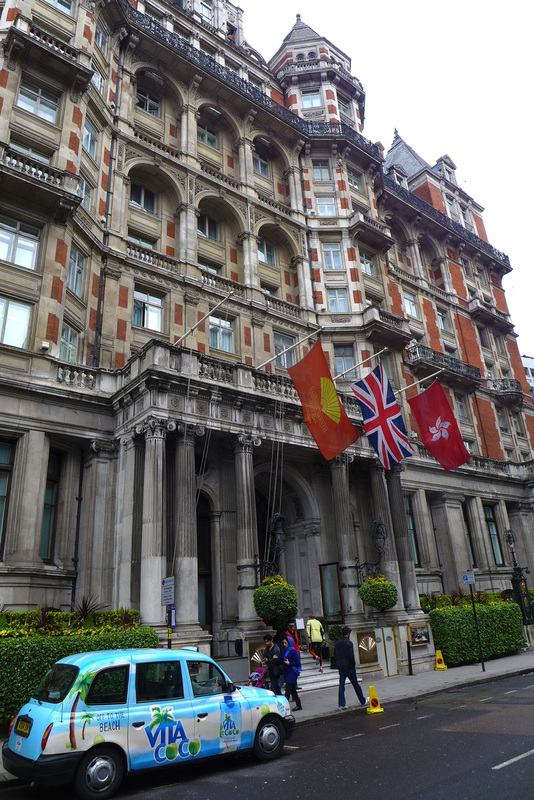 Previous Post Andrew Wong – A Taste of China. 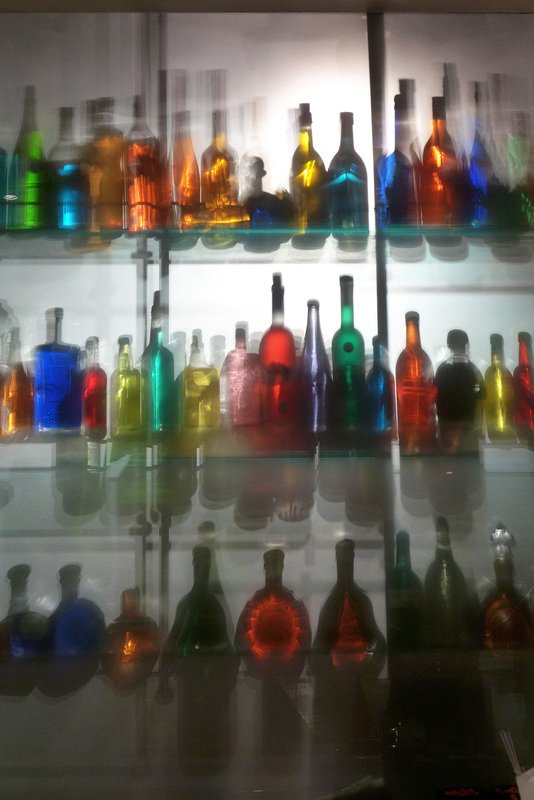 Next Post Koffmann – An evening of the classics. Great stuff. I remain amazed at your meat fruit post! Good stuff, I’ll need to put it on my list. One point, under 60 degrees for chicken sounds way to low to be safe. Your pictures are of great quality 🙂 how would you compare dinner with the other 2 star restaurants in London? The only difference i’m making from your recipe is instead of 400g chicken livers, I’m using 250g livers and 150g foie gras. Hope to hear back from you, but if not then I hope you have a good Christmas! Thanks Ali…..and good luck. It’s hard bloody work but well worth it. 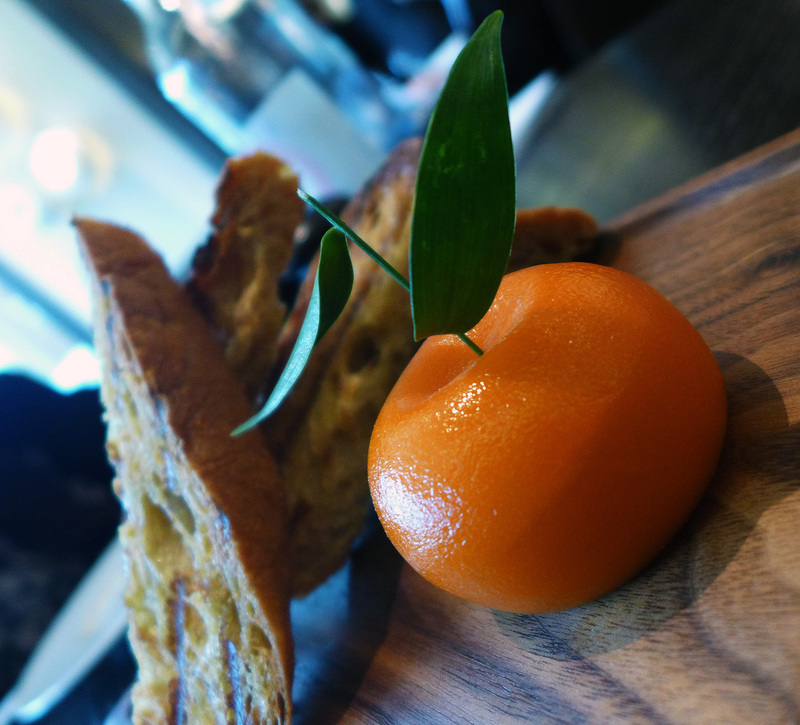 Nice idea with the Foie gras…..awesome. Freeze after first dip to get the orange peel effect. 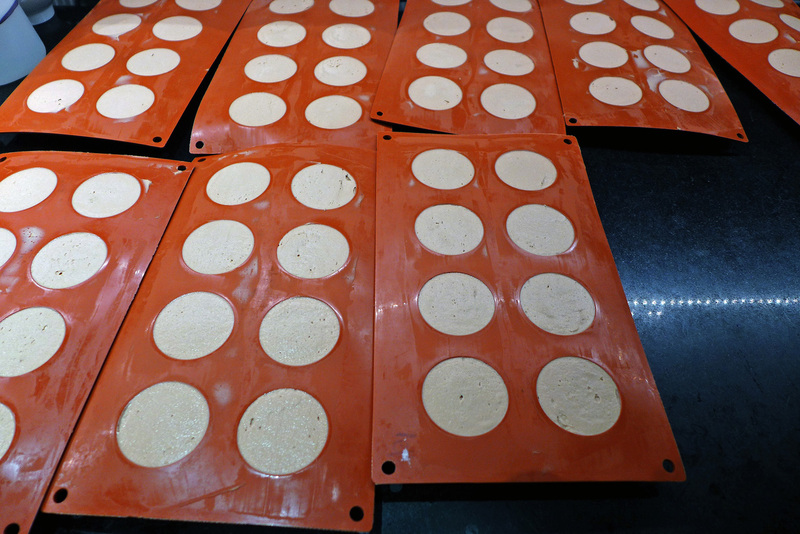 Don’t be put off by the consistency if you think it’s a bit wet. They pipe it into the moulds at Dinner. Good luck , it’s very impressive once on the plate.